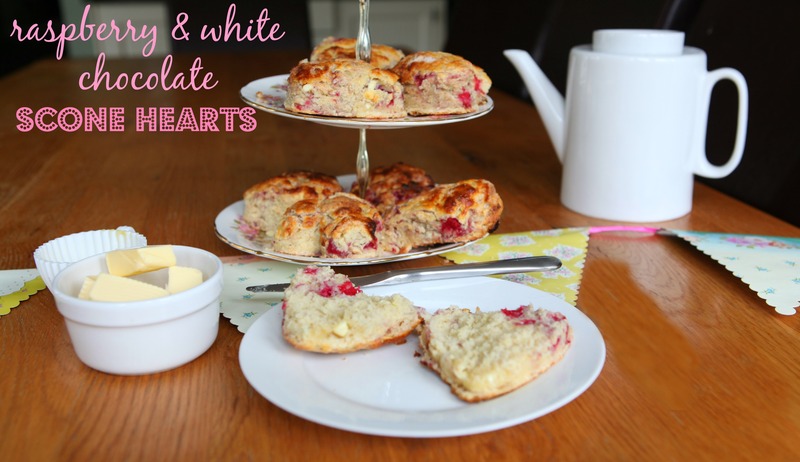 Why not treat a loved one to some delicious Raspberry & White Chocolate Scone Hearts this Valentines Day. These scones are so pretty to look at and have such a lovely flavour too. With Valentines Day looming on the horizon, I thought I would have a go at making some Raspberry & White Chocolate Scone Hearts . 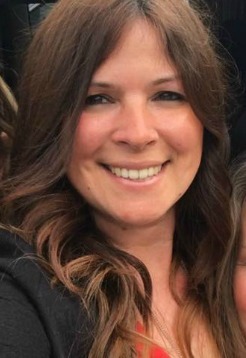 I love eating scones, and in particular a cream tea. Yet despite living in Devon, the home of the scrumptious tasting Cream Tea I actually do not eat them very often. Then I got to thinking, why not give a loved one a cream tea to show them how much you love them this Valentines Day? And rather than just give them your run-of-the-mill scone (not that there is anything wrong with that), why not make them heart shaped and fill them with chocolate (always a popular gift for Valentines day) and give them a burst of love heart red by adding raspberries to them? *That* is how I came up with the idea for my Raspberry & White Chocolate Scone Hearts. 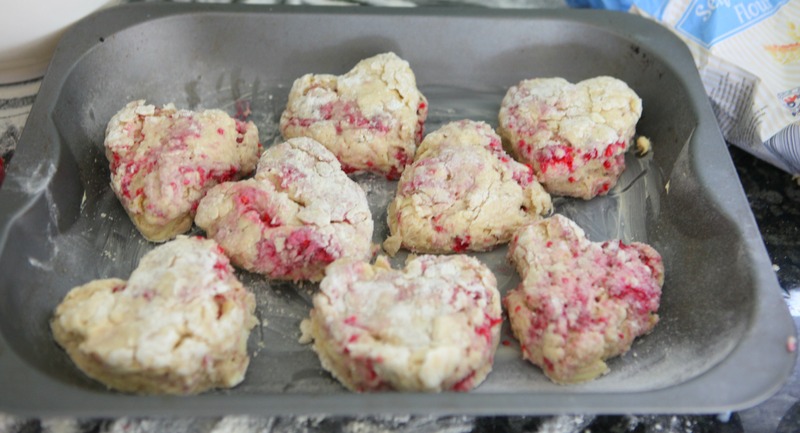 Of course if you do not have a heart shaped cutter, then just make round scones. They will still look pretty and taste amazing. They were huuge but ever so light and the raspberry added a little tartness to the scone but the white chocolate put the sweetness back in! I did not have any clotted cream in the house (I am *trying* to be good at the moment) which I am sure would have been a delicious addition to the scones. However, they were actually yummy eaten au natural, with nothing else but they were also yummy with just some butter and also with some lemon curd (no butter)! And enjoyed with a cup of tea – what else? 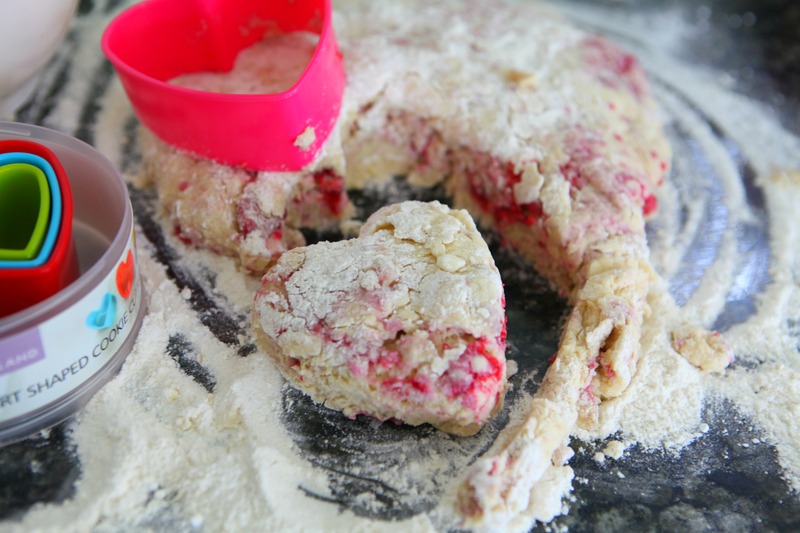 Raspberry & White Chocolate Scone Hearts – perfect for your Valentine any day of the year. Alternately, freeze on the day they are made and defrost and then re-heat before serving to make them taste freshly made. White chocolate and raspberries go really well together! 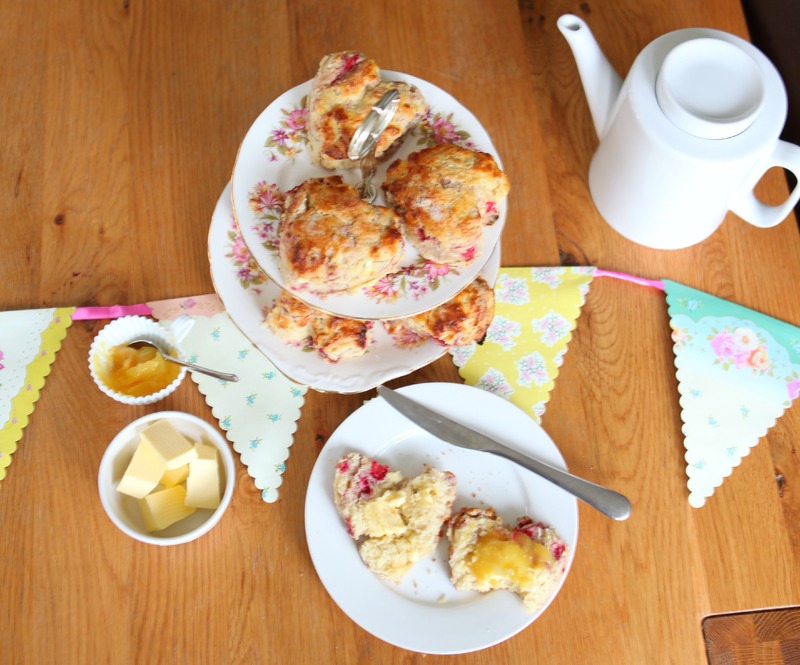 Love your foodie photos here and the bunting. Looks perfect for afternoon tea. Oh yummy. Can you make them without the salt? Raspberry and white chocolate, I’m sold! They look lovely 🙂 I haven’t made scones for years. These scones look delicious. I love the combination of white chocolate and raspberries, I bet they taste great. I have just seen your scones on a mummy too’s valentine round up and they look lovely :-)… I must try them. These look so, so delicious. 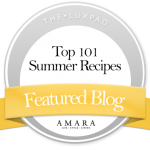 Thanks for linking them up to #recipeoftheweek. I’ve pinned and tweeted this post, and I see you’ve already joined in the fresh linky for this week. Hurrah! I followed your recipe word for word (bar the heart shaped cutters) and the scones turned out absolutely perfect. I’ve had some scones in my time, there part of Northern Ireland culture, but these were terrific. Thank you so much for sharing this wonderful recipe, words cannot say how delicious these scones are.